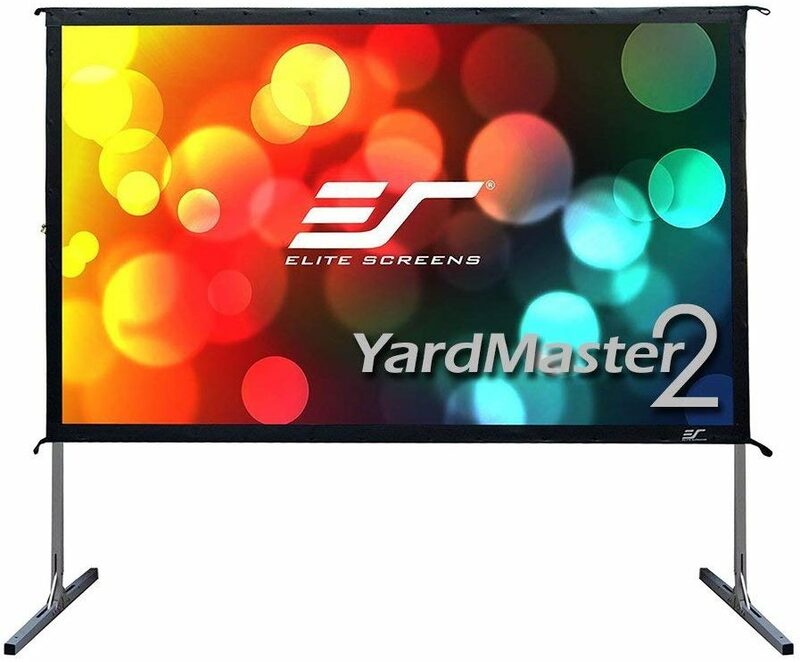 Elite Screens is specifically emphasized on offering the superior best quality products and that too at reasonable rates. 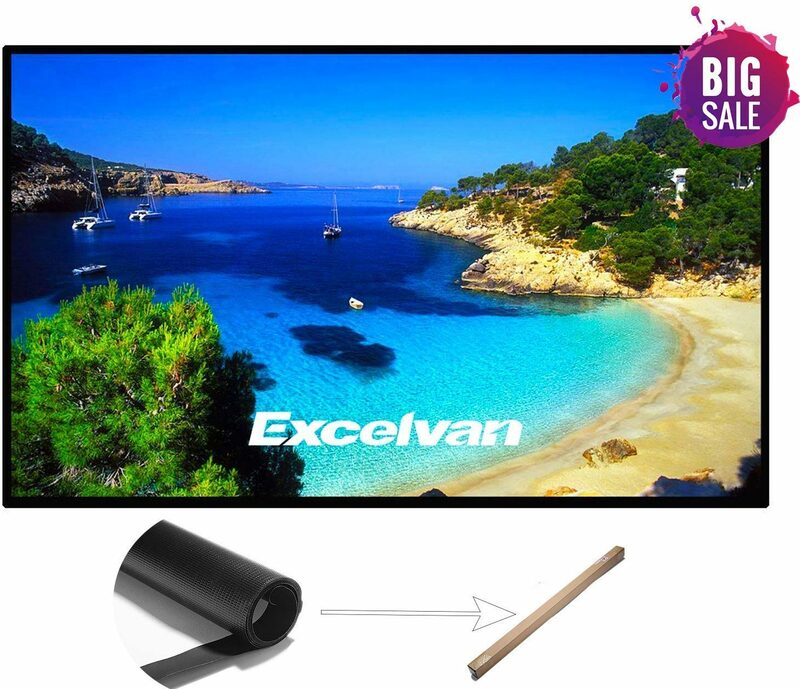 The Manual pull down projector screen works excellently to upgrade your viewing experience. 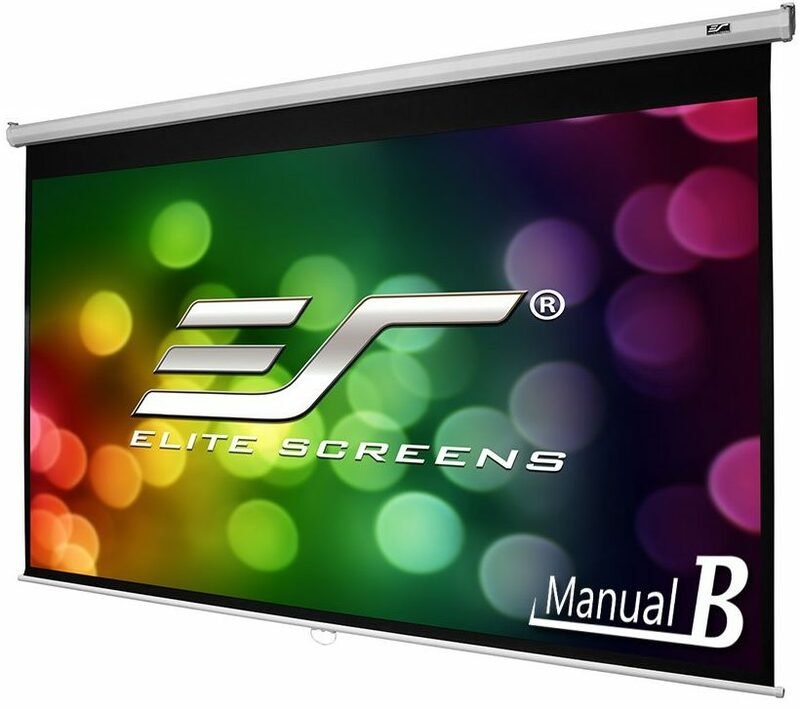 For business or home video presentations, the Elite Screens Manual B series can be used. There are no installation hassles. It includes an auto-lock mechanism to facilitate different height settings. When you use these projector screen materials by FDW, you will be facilitated with a proper view from a far distance. The 16:9 HD projection screen offers perfect viewing experience. The Manual screen projector screen comes with stand as well as wrinkle-free matte oxford mounted on a tripod. This kind of arrangement presents a precise view. It employs wide-angle viewing with 1.3 gain reflection as well as flexible height adjustment. The wide viewing angle eliminates the hassle of sitting in front of the screen. 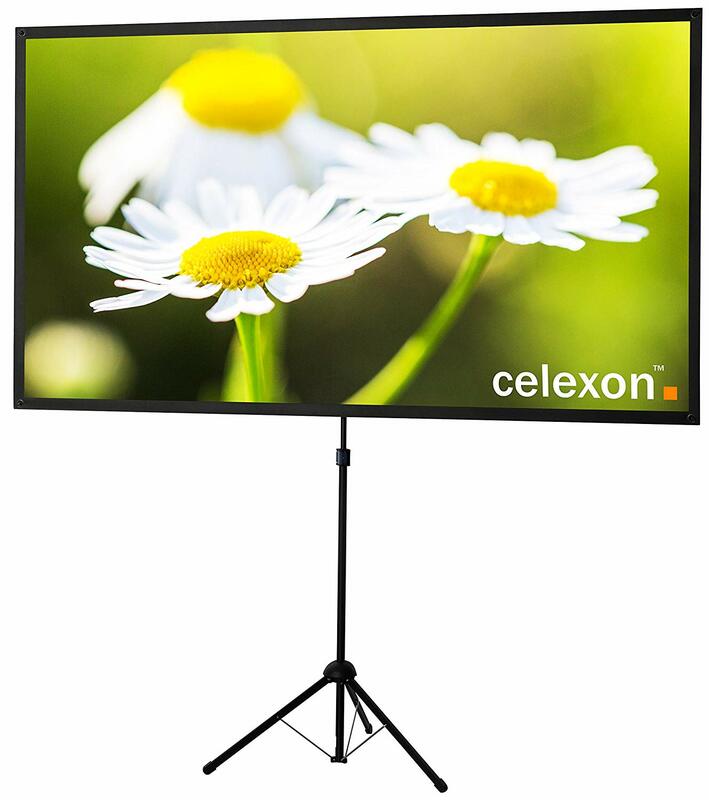 The tripod projector screen from celexon is very lightweight and compact in design. Its size is perfect for the precise mobile projection solution. The aspect ratio of the material is suitable for the best viewing experience. The material weighs less than 11 lbs, so it can be easily transported. It features 80-inch matt white viewing area. It comes in a black carry case to simplify storage and transportation. In addition to the projector screen materials, the package includes many important accessories to ensure effective projection. Now you can hang the projector screen wherever you wish with the accessories included in this package. The screen material possesses cinema matte white 1.1 gain. It comes with 160-degree viewing angle to let you view comfortably. The screen material is resistant to UV rays and mildew. Suitable for indoor and outdoor use, the screen materials are recommended for office and movie presentation. 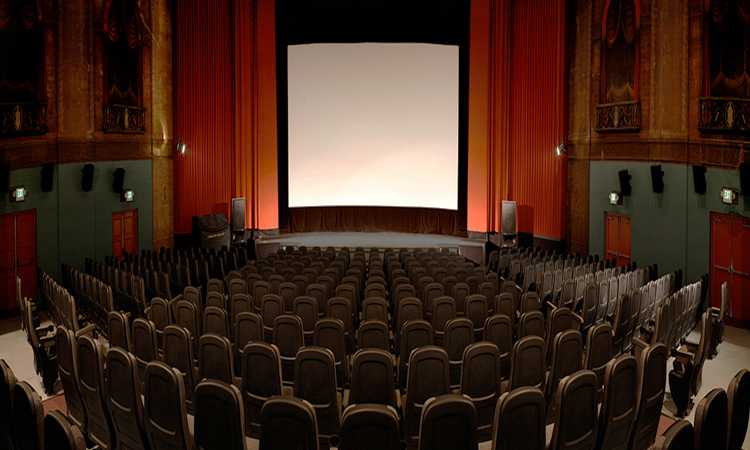 PropVue designed the materials to present an appropriate view of movies and gaming. 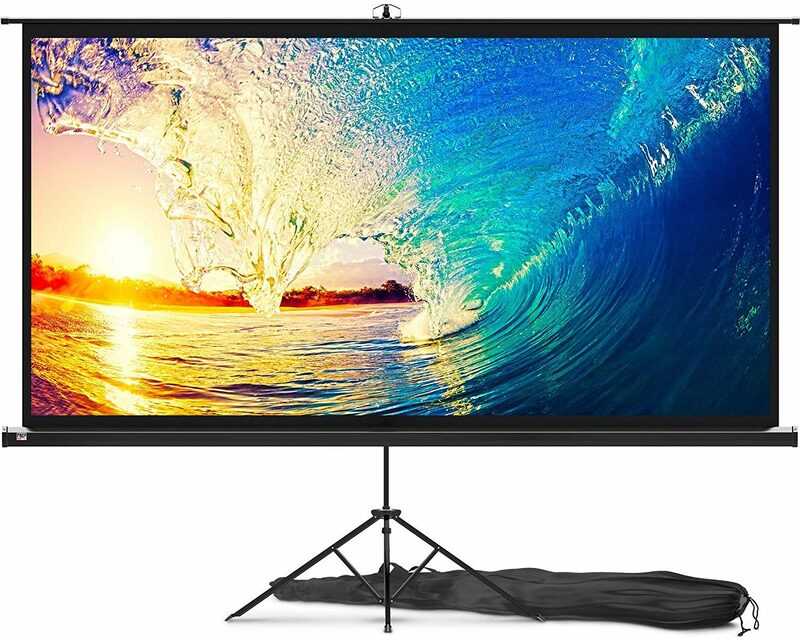 The projector screen comes with stand and high-quality wrinkle-free type matte PVC on a tripod. Also, this kind of arrangement presents an optimal viewing experience. With the help of wide angle and 1.1 gain reflection, there are no viewing hassles. The stable tripod support stand and broad legs present comfortable viewing. The 3D projection is made possible with the help of this projector screen with stand. In fact, it’s wide viewing angle and excellent front projection makes it an ideal product for indoor and outdoor uses. The material is mildew resistant and quite simple to clean with the help of water and soap. Within a few minutes, the materials can assemble without any extra tools. 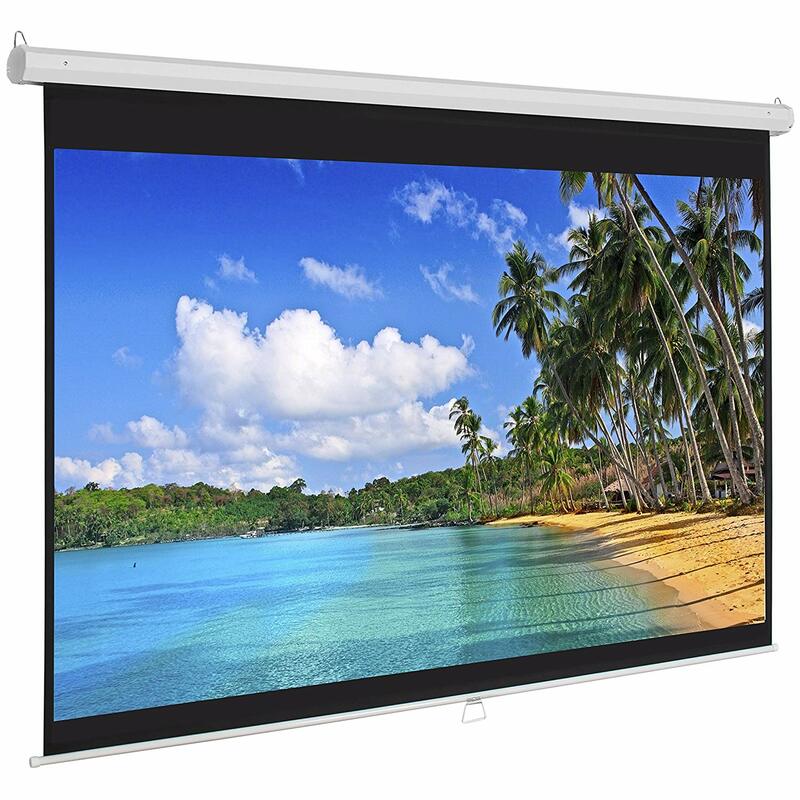 The projector screen materials lightweight aluminum square tube based construction can be effortlessly transported. Now you can relish crisp images shown on the screen with the use of this Best Choice Products manual projector screen material. Its versatility allows it to use conveniently for LCD, LED, and also DLP projectors. It comes with the 1:1 high gain screen to used effortlessly for HD projection and high-resolution display. With the help of black border and white matte screen as well as consistent light diffusion is presented. Moreover, this combination presents an optimal picture contrast. The materials are enclosed in a durable and lightweight metal casing. Wonderful viewing angle can be made possible with the help of this portable projector movies screen. Moreover, the wide application capabilities that allow you to use for educational purposes, presentation, home theatre movie, outdoor movie and many more. With the help of 16:9 screen format and 160-degree viewing area wonderful widescreen experience are possible. There are no effects of wrinkles when the material fold. These projector screen materials can conveniently fit inside a backpack. 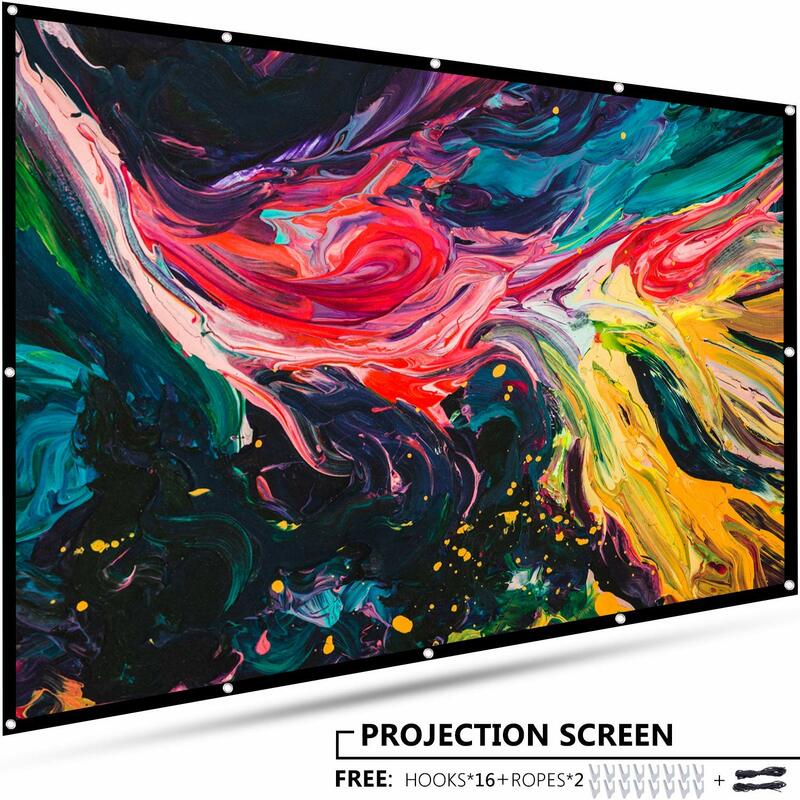 The cinematic entertainment is now possible at the convenience of your home or office when you use the STR-16910 projector screen white material. Using this material, you are able to relish 4K Ultra HD. The screen surface is intended to offer 1.1 gain and a wide viewing angle specifically at 160 degrees. There would be no resolution loss irrespective of viewing angle. Easy and quick assembly lets you set up the system effortlessly. 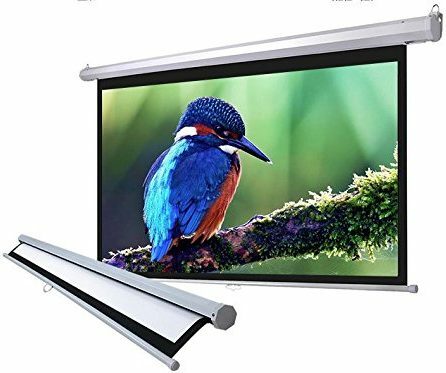 The flexibility of the Excelvan which is 120-inch projector screen materials that find application in classroom training, home theater movies, conference room presentation, etc. It is simple to install and disassemble which lets you use it more comfortably. The screen can effortlessly fasten with the use of Velcros. 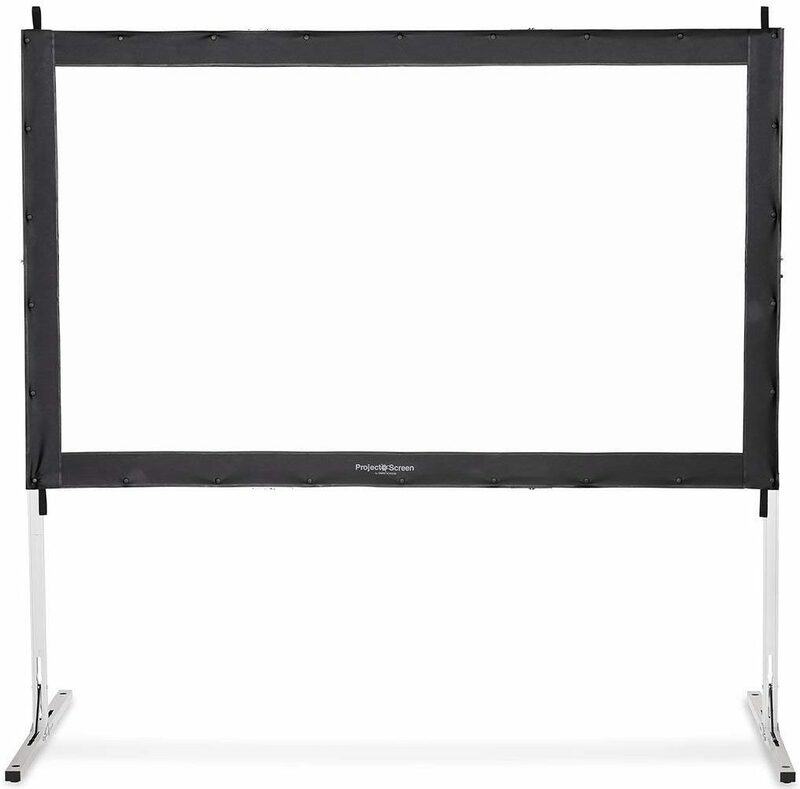 With the help of 16:9 screen format and diagonal 120”, the viewing area is 104” x 58”. Due to the matte white surface, the light would be diffused consistently. The choice of the best projector screen materials is essential for the excellent viewing experience. 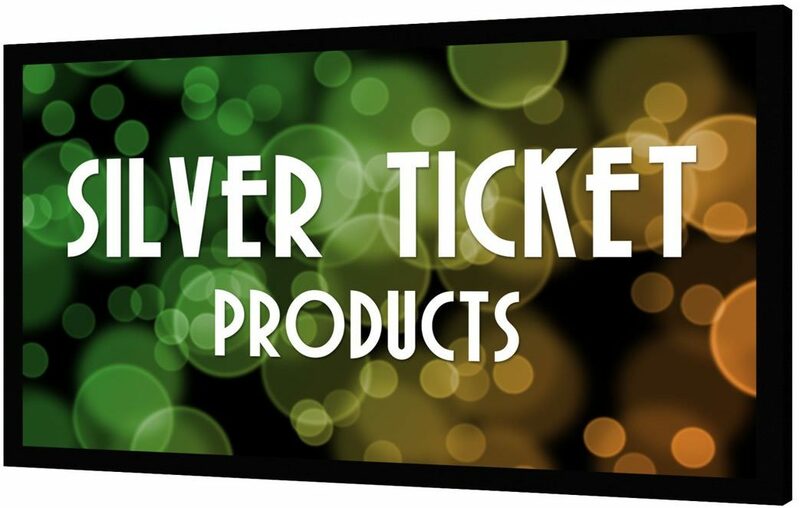 When you invest in any of these screen materials, you will be eased with best visual output.